The feng shui of our house has it that the spot at the bottom of the stair attracts clutter. 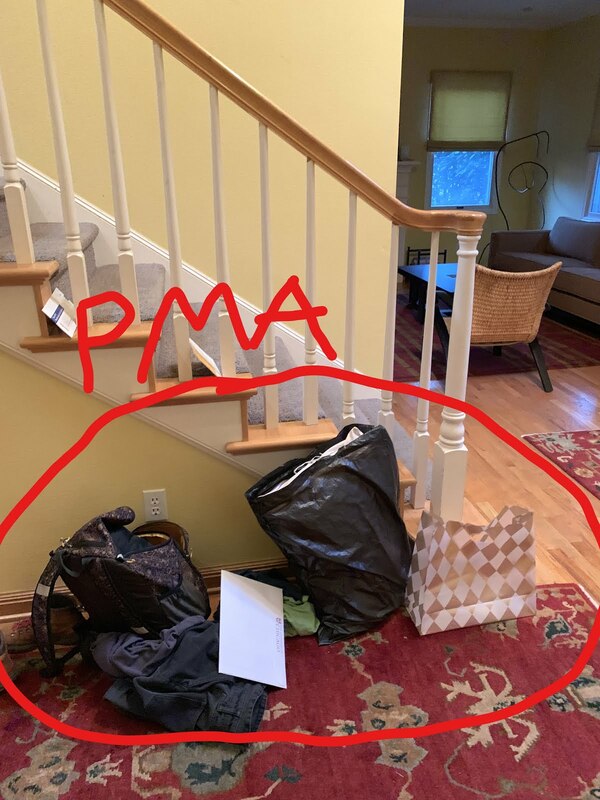 I call this spot the PMA, or permanent mess area. As a family we share responsibility for leaving items here.